clearly defines key terms and includes advice on rules, usage, and style, as well as ample annotated further reading and activities throughout. Aimed at undergraduate students with little or no prior knowledge of linguistics, this book is essential reading for those studying this topic for the first time. 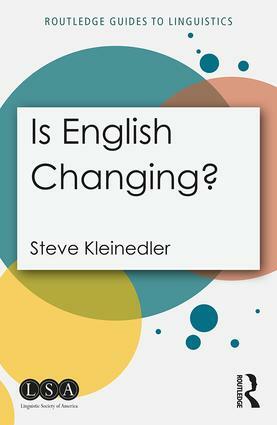 Steve Kleinedler is Executive Editor for the American Heritage Dictionaries.